Wireless sensor networks are poised to become a very significant enabling technology in many sectors. Already a few very low power wireless sensor platforms have entered the marketplace. Almost all of these platforms are designed to run on batteries that have a very limited lifetime. In order for wireless sensor networks to become a ubiquitous part of our environment, alternative power sources must be employed. 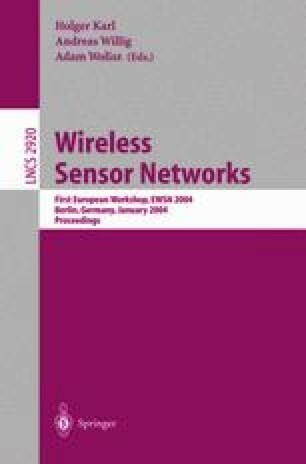 This paper reviews many potential power sources for wireless sensor nodes. Well established power sources, such as batteries, are reviewed along with emerging technologies and currently untapped sources. Power sources are classified as energy reservoirs, power distribution methods, or power scavenging methods, which enable wireless nodes to be completely self-sustaining. Several sources capable of providing power on the order of 100 μW/cm3 for very long lifetimes are feasible. It is the authors’ opinion that no single power source will suffice for all applications, and that the choice of a power source needs to be considered on an application-by-application basis.